Bendel Insurance are back in the top-flight after waiting for over a decade, with the Benin outfit last seen in the Elite League during the 2007-08 campaign. Baldwin Bazuaye’s men have the opportunity to puncture Kwara United’s ascendency on the table with a win to complement their encouraging start to the season. Charles Omokaro gave the two-time league champions the lead against Remo Stars before Victor Mbaoma scored in the 74th minute to rescue a point for the hosts. 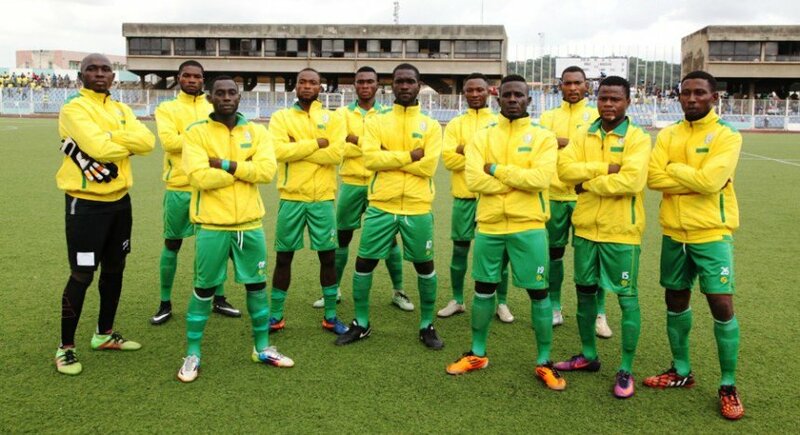 It means the Benin Arsenal have one point from one game – with their first two games of the season shifted to enable them to prepare adequately for the new season after the Nigeria National League (NNL) Super 8 ended on January 10, 2019. The stakes have been raised for the visitors, who won their first game of the season at the weekend. After settling for a 1-1 draw against Sunshine Stars and losing 2-0 to MFM in their first two games, the Harmony Warriors finally got it right; beating seven-time Nigeria league champions, Enyimba, by the odd goal in a five-goal thriller at the Ilorin Stadium. Boss Abubakar Bala will be watching this match with great interest – having sent one of his assistants to watch his opponents’ games during the NNL Super 8. While the attacking stars hit the headlines against Enyimba, Bala also wants his defenders to show more discipline and remain compact. “Every match has its own misery but we are not happy going behind in the early part of our games. In addition, club skipper, Akeem Onigbari revealed that his teammates are well-prepared and hungry for success in Benin. “We are battle ready for this fixture. The last game against Enyimba was a turning point for us so we have the feel-good factor. “With good and fair officiating, we have no reason to leave Benin empty handed because we have really prepared well for this. Kwara United lead Group A after three games with four points, but Insurance and other teams remain hot on their heels having played fewer games. Charles Omokaro: The hosts kept hold of the legendary striker despite interest from more reputable NPFL clubs following his impressive season in the National League last time out. The former Enyimba and Warri Wolves striker has been able to repay the faith with the lone goal that secured their promotion in the 1-0 win over 3SC in the NNL Super 8 and was also on target in their league-opener against Remo Stars on Sunday. Omokaro’s performances have been central to Insurance’s success in recent weeks and Kwara United defender Andrew Ikefe will need to put on a solid display if he wants to stop the experienced forward from causing havoc. Segun Alebiosu: It’s been a mixed start to the season for Segun Alebiosu. He missed a penalty in their opening match against Sunshine Stars, scored an own goal in the 2-0 loss at MFM, but redeemed himself with a brace in the 3-2 win over Enyimba. Alebiosu is gradually turning out to be the skilful and pacy attacking threat that Kwara United fans expected him to be. Meanwhile, Kwara United midfielders Samsudeen Hashim, Issa Magaji and Uche Onwuasoanya would also have major roles to play on Wednesday as they look to close down and stop Insurance from dictating play in midfield.